Straight grip, gloss walnut, polished blue barrel and aluminum receiver, iron sights, tapped for scope, detachable magazine, lever action rifle With a timeless beauty that’s more than skin deep. 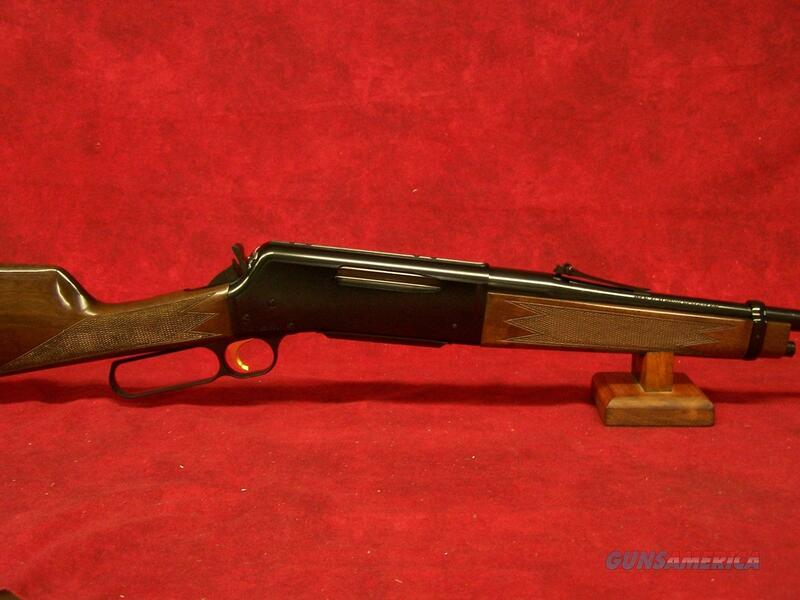 The BLR Lightweight ’81 is ready and waiting to be your next lever-action hunting rifle. The gloss finish on the walnut straight grip stock contrasts beautifully with the deeply polished blue finish on the receiver and the barrel. This is what a serious lever-action rifle should be, and what every other lever-action wishes it was. A few details about this model. You will need to look close in person, but when you do you'll notice that the stock is sculpted from fine Walnut and the cut checkering in the grip and fore-end is crisply executed for lasting good looks and a more solid grip. The straight grip BLR stock is true to the classic lines of the lever action rifle and has a traditional carbine strap at the fore-end. Nuances of select walnut. The stock has a deep, glossy finish that brings out every nuance of the wood’s warm color and grain. The well-formed recoil pad helps reduce felt recoil and flinching.